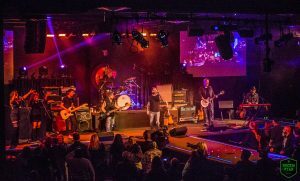 Events Hangman's Daughter Santa Rosa Homegrown Festival With Special Guests Hangman’s Daughter, Harry’s Big Rock Revival,The Return And Huge Large!! !Santa Rosa Homegrown Festival With Special Guests Hangman’s Daughter, Harry’s Big Rock Revival,The Return And Huge Large!!! 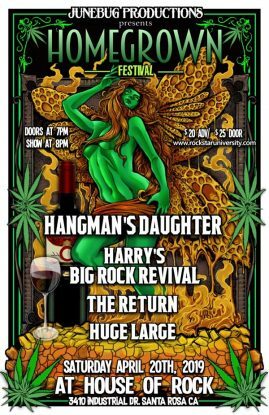 Santa Rosa Homegrown Festival with special guests Hangman’s Daughter, Harry’s Big Rock Revival,The Return and Huge Large!!! 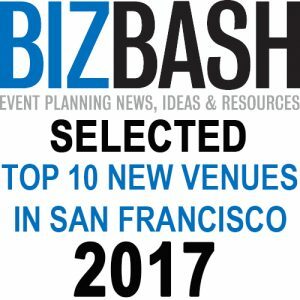 Join us for this amazing night celebrating music that is “Home grown” in Sonoma County! HUGElarge starts the night off with their 2 man power trio of drums and guitar! The Return will kick it up notch and get you grooving! After that Harry’s Big Rock Revival will keep the party rockin’ with their own brand of rockin’ blues! Closing out the night will be longtime local favorites Hangman’s Daughter as the keep you rocking until last call!